2 VISION Through learner-focused education, transform the lives of students in institutions to foster responsible, productive citizens, thus creating safer communities. 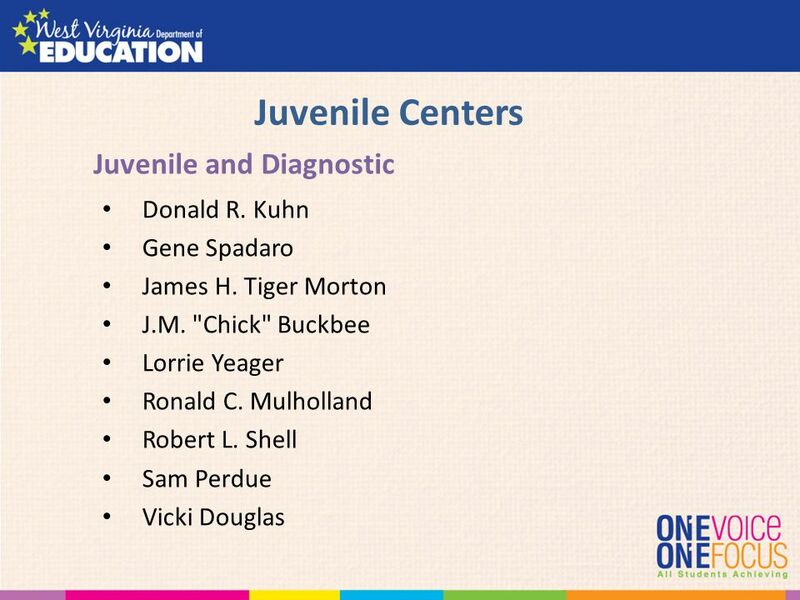 MISSION Prepare juveniles and adults for successful transition to school, employment, and to life in their communities as responsible, productive citizens. 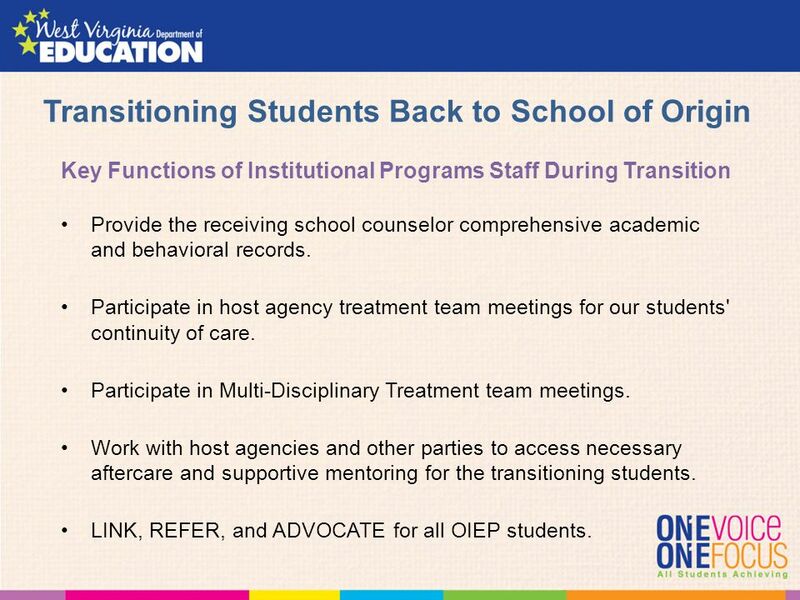 Key Functions of Institutional Programs Staff During Transition Provide the receiving school counselor comprehensive academic and behavioral records. Participate in host agency treatment team meetings for our students' continuity of care. Participate in Multi-Disciplinary Treatment team meetings. Work with host agencies and other parties to access necessary aftercare and supportive mentoring for the transitioning students. 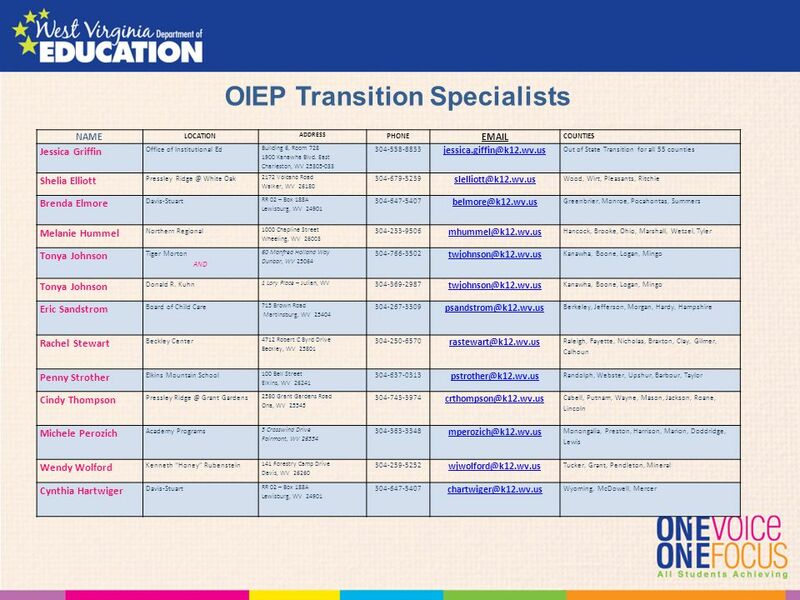 LINK, REFER, and ADVOCATE for all OIEP students. 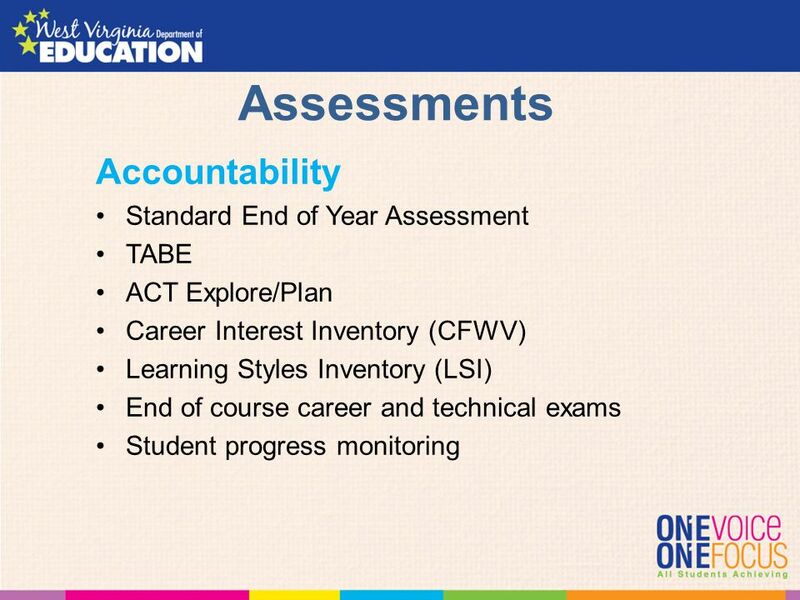 Download ppt "Transitioning Students Into Public Schools and Communities"
Educator Evaluation Pilot Thursday, May 26 Webinar 3:30 pm. 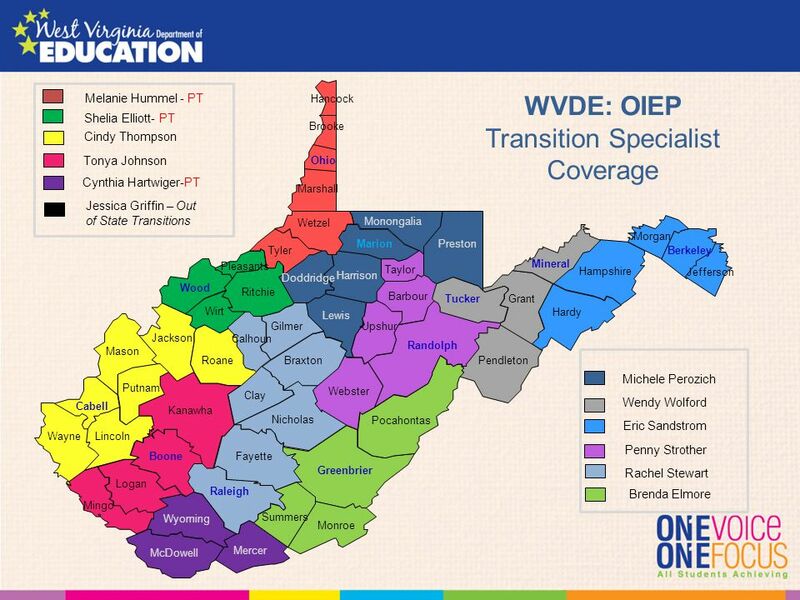 West Virginia Adult Basic Education Programs Serving Culturally and Linguistically Diverse (CLD) Adults Learning English Language and Civics Skills. 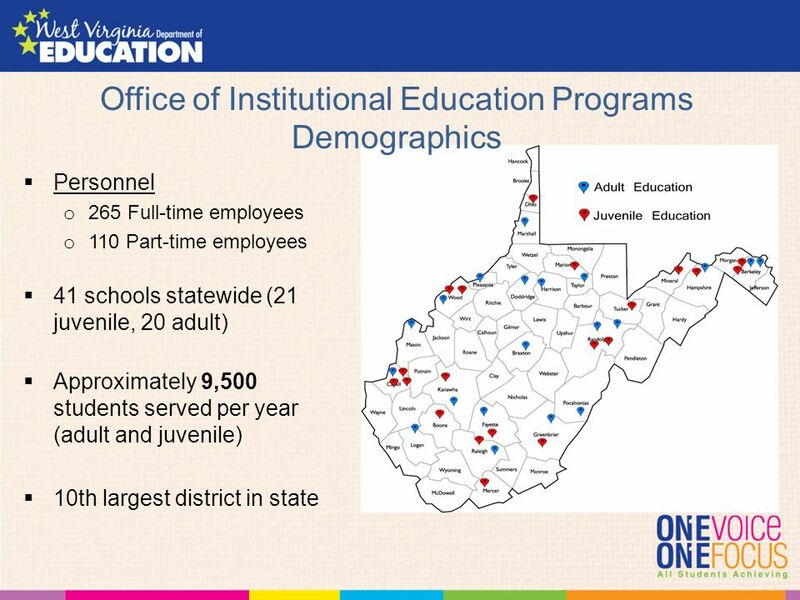 Home State BoardState Board | Department | Teachers | Parents | Students | Community | DataDepartmentTeachersParentsStudentsCommunityData West Virginia. TITLE III UPDATETITLE III UPDATE Planning for Success In Webinar September 2009 WEST VIRGINIA DEPARTMENT OF EDUCATIONWEST VIRGINIA DEPARTMENT OF. Title III Updates 2008 Planning Information for District-level Administrators. Title III: Strategic Planning & Consolidated Monitoring May 5, 2009. One Team – Relevant, Ready, Responsive, Reliable US Army Corps of Engineers Huntington District Southern WV 340 Environmental Infrastructure Program Sherry. One Team – Relevant, Ready, Responsive, Reliable US Army Corps of Engineers Huntington District Central WV 571 Environmental Infrastructure Program Dan. Web Applications, E-rate, Filtering West Virginia Department of Education Office of Technology June 2001. Eloise Elliott, PhD Chair, WV Physical Activity Plan (WVPAP) Coordinating Committee August 31, 2011. 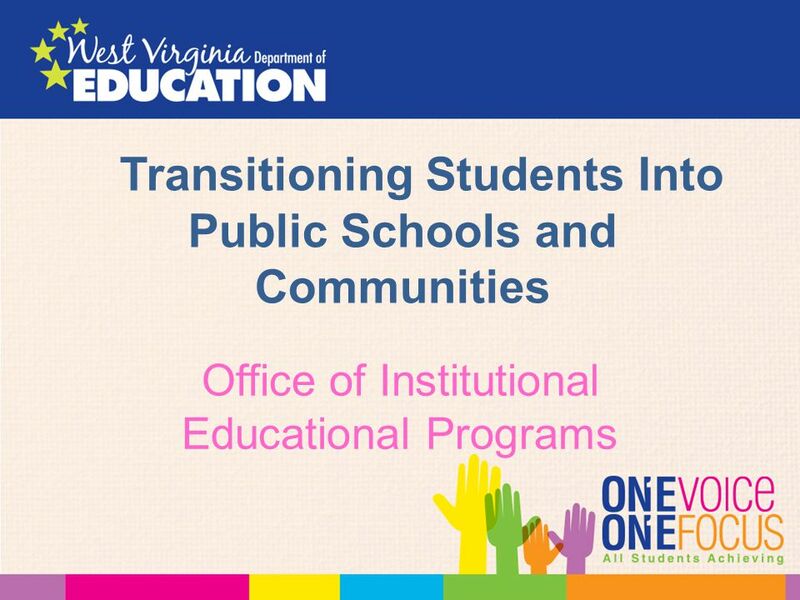 WVDE: Office of Institutional Education Programs March 20, 2014. 2013 Bonnie’s Bus Screenings by Age and County AgeUnder Barbour Berkeley 8932 Boone Braxton Brooke 435 Cabell 644 Calhoun. 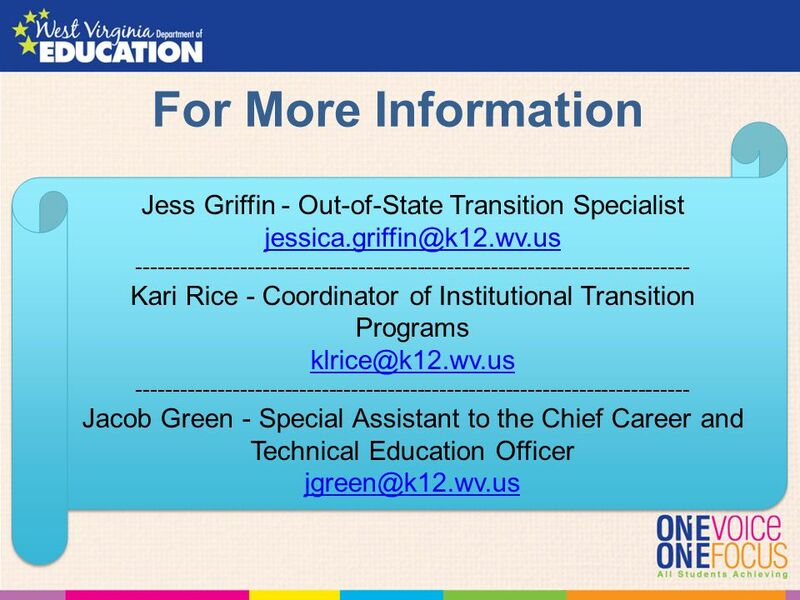 COLLEGE TRANSITION INITIATIVE West Virginia Career & Technical Conference July 25, 2014. Unplanned Pregnancy In West Virginia Sponsored by The National Campaign to Prevent Teen and Unplanned Pregnancy and The West Virginia Perinatal Partnership. Barbour Berkeley Boone Braxton Brooke Cabell Clay Fayette Gilmer Grant Greenbrier Hampshire Hancock Hardy Harrison Jackson Kanawha Lewis Lincoln Logan. CSBG State Office & State CAA Association Roundtable West Virginia.